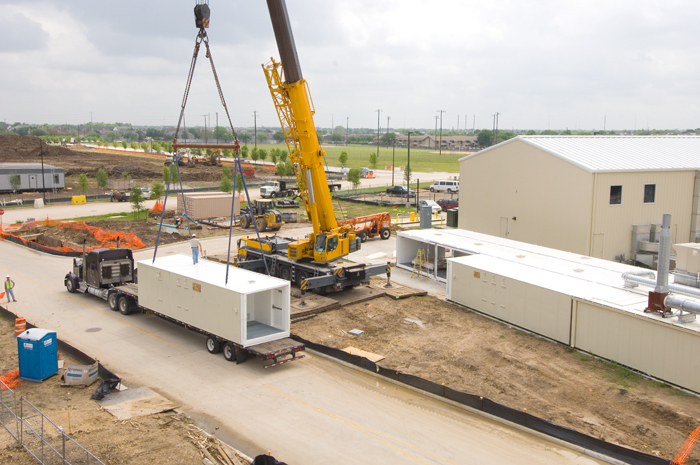 MCC Development was chosen to design, permit and install a modular 1,500 square ft. flammable liquid warehouse to comply with International Building Code (IBC), OSHA Std. 29 CFR, part 1910, and FM Insurance carrier’s loss prevention standards. 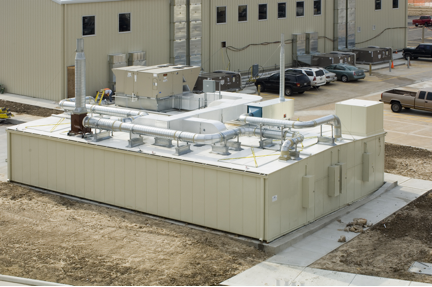 Modular design provides four-hour firewalls, explosion relief venting, built-in secondary spill containment sump and an automatic fire suppression system to achieve $100,000 cost savings vs. site construction. MCC Development, Inc. was also selected as the prime contractor for the Phase II Expansion to create this 3,600 sq. 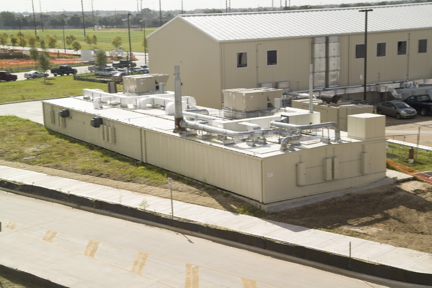 ft. Modular Hazardous Chemical Storage Facility in which Ethyl Alcohol, Ethanol, Organic Peroxides, and Acetonitrile will be processed and stored. Phase I. 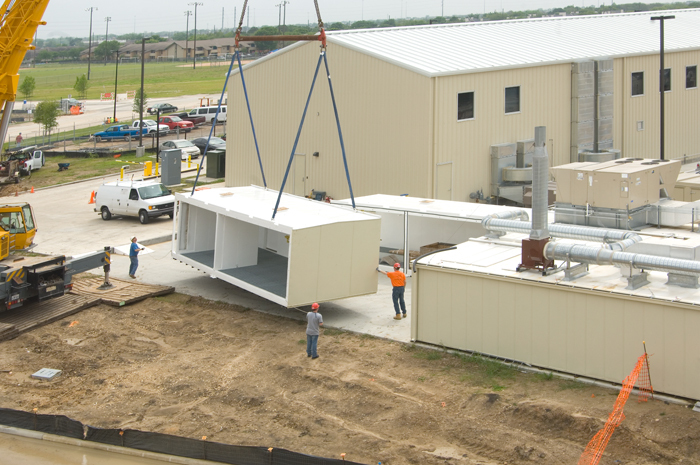 First of three (3) 10′ wide x 50′ long Hazmat modules being placed on concrete pad by MCC’s installation team. 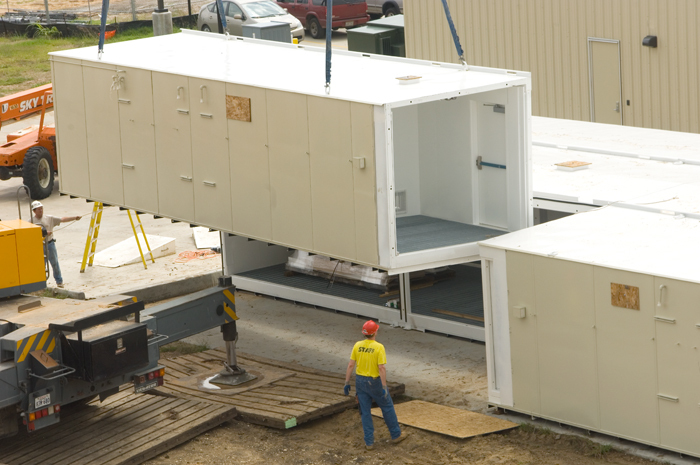 Second module is staged in the marshalling area and being readied for placement. Phase I. Second of three (3) 10′ wide x 50′ long Hazmat modules being lifted into place for alignment with module number one. Modules are joined at the roof to ensure a weathertight seal. Phase I. Second of three (3) 10′ wide x 50′ long Hazmat moduless being positioned within the recessed concrete pad. Twin 75-ton cranes are utilized for meticulous alignment of each 54,000 lb. module to achieve a seamless seal of the combined structures. Phase I, a 1,500 sq. 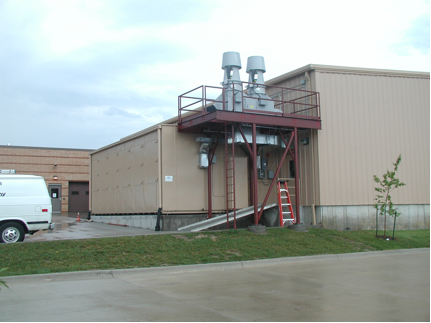 ft. Modular Hazardous Materials Storage and Processing facility – complete with walk-in fume hood, solid waste compactor and rooftop HVAC system. Phase II. 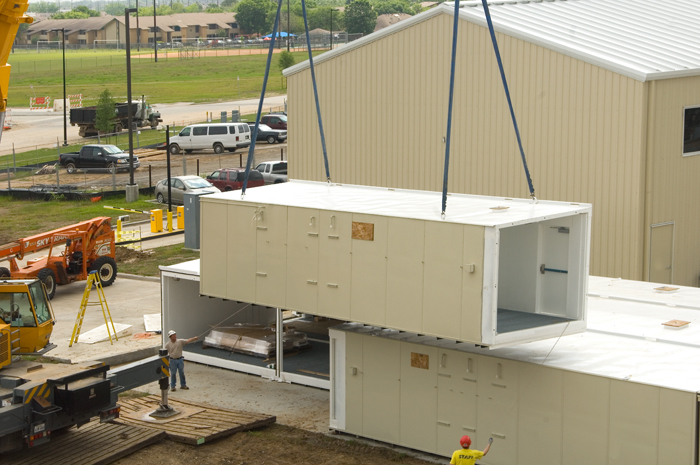 Second of three 10′ X 50′ X 9′ high modules being crane offloaded and lowered into position. Phase II. Final Hazmat module being craned off. Phase II. Hazmat module being manuevered for placement. Phase II. Lining up the third Hazmat module. A bird’s eye view of the completed Hazmat facility. MCC selected as the D/B contractor for this 6100 C.F. Flammable Liquid Transfer Station for storing Ethanol and Acetanitrile used in DNA profiling.